The Christmas season in Sofia is one of the most festive and beautiful times of the year. It is also a nice occasion to discover the Bulgarian artists – if you like unique items, artisan gifts, crafts and souvenirs. Here is a list of the best Christmas Bazaars and events in Sofia. More beautiful from year to year, the German Christmas Market in Sofia plunge you into the Christmas’s Magical, bringing the authentic German tradition of celebrating Christmas on Alexander Battenberg Square in Sofia. A special mini « Christmas town » of festively decorated wooden houses was designed and built on-site, offering visitors dishes from the traditional German cuisine, hot wine, treats for kids, as well as handmade souvenirs, wooden toys, Christmas decorations. There will be a daily entertainment programme, including choirs from local schools / Event / More. The 2 & 3 December, 2017, Soho Sofia coworking and creative place presents its 5th edition of SoBAZAAR Christmas. In a very friendly and cocooning atmosphere, Luba and her team welcome many artisans, artists and designers with a selection of limited edition interior design products, fashion, toys, books, organic cosmetics, jewelry and other accessories suitable for gifts and topped with culinary delights for a more complete experience / Event / Address. Every year the Annual Charity Bazaar provides an opportunity for countries to proudly showcase their handmade crafts, music, souvenirs, folklore, national cuisine, clothing, literature and now even culture and tradition. Last year over 60 countries presented their food, their culture and seasonal traditions. All proceeds go to the Charity Fund of the International Women’s Club of Sofia to help people in need. We approve ! / Event / Tickets / Address. The annual Christmas selection of designer items – clothes, accessories, industrial and interior solutions, ceramics, illustrations, jewelry, books, candlesticks, and much more will be presented this year’s Christmas bazaar at Cosmos. The place will welcome you at the floor around the bar with bakers, pastry cooks, chocolatiers, producers of craft beer and wine in a Christmas spirit. The rest of the participants in the designer exhibition, will be situated above. Christmas atmosphere guaranteed / Event / Address. Find there Bulgarian talents and artists offering all ideas of gifts originals for your christmas presents or simply for yourself / Events / Address. Fika was born in the autumn of 2016 when the nesessity of a cozy and casual friendly event was emerging in Sofia. This is why the event combined the tradition of the Swedish fika with a quality selection of products and authors that gives you comfort. True to itself this year the christmas event will offer you a fine selection of brands plus Swedish pastry, cocktails, mulled wine and nice music / Event / Address. For Soul Christmas Event, the Soul Kitchen provide temptations inside the restaurant and warm tents with gifts outside from the yard. Chocolate will tell stories, the wine will simmer, in the kitchen diligent dwarfs will prepare the most delicious dishes for the season, and the atmosphere will be bright. Christmas aromas and mood will be waiting for you at the entrance of this christmas event. There will be gifts, there will be music and light thoughts, big hugs and wishes / Event / Address. 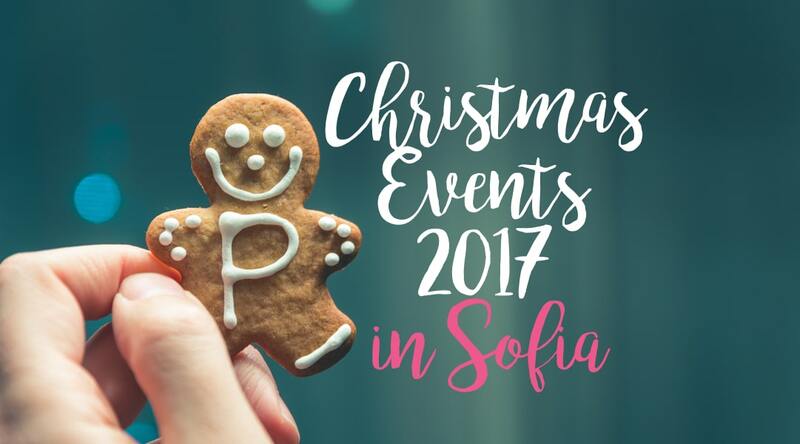 Co organized by Puzl Coworking, one of the most active coworking places in Bulgaria, the “CoChristmas Party vol. 2” event is definitely one of those Christmas parties not to be missed. Last year, 600 people were present. The event offered tons of drinks, live music and party mood. This year, it will gather the entire IT and startup community under the Puzl roof for a grand night of jolly good Christmas fun. It will be crazy, for sure / Event / Address. Market, workshops, eating, drinking, raffle, music and pleasant ambience.. Betahaus Sofia welcomes you in a very friendly and christmas atmosphere. Here you will be in touch with art and artists who put their whole soul in the process of creating your gifts. Handmade Design Market was created to show the world the human talent in the creation of beauty and harmony in the outside world. Another Christmas event not to be missed / Event / Address.